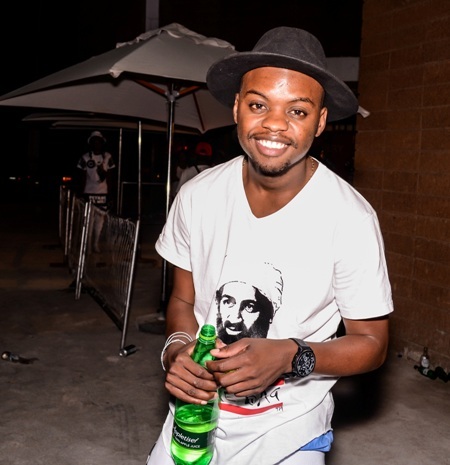 Unlike most comedians Dj Khathu, real name Khathu Litshani, does not stand in front of an audience for laughs, instead he uses social media to share his views in his funny accent. Unlike most comedians DJ Khathu, real name Khathu Litshani, does not stand in front of an audience for laughs, instead he uses social media to share his views in his funny accent. The 26 year old has become an internet sensation having more than 3000 views in a week. When and how did you start with the videos? I started doing these videos in February it was never meant to be comedy or anything satire I did a promotional video for an event I had that month and people loved the video so much that I had to do another one and yeah I've been doing them ever since. The stuff that happens in my life everyday and I also get inspiration from South Africans we might not believe it but we are really funny people and we do some weird things, so I think that's what makes people relate to the stuff I talk about on my videos. What make your videos and jokes stand out from the rest of upcoming comedians? I believe we all have a funny bone in us and what makes my stories different is the accent I use and also the fact that I'm not scared to speak my mind about issues that affect my life. My stories come across as rants more than just me trying to sound funny. Which one of the uploaded videos is your favourite? My favourite video is the Perfume video which I believe is the most popular video I've ever made. How does it feel when you realise that people love and share your videos? It feels amazing and it's also encouraging to know that I'm not weird; whatever it is I'm going through in my life or the things I see, I'm not the only one who sees these things or experiences them, but yeah I love it even though it's full of pressure to do more and be better. How do people keep up and in touch with DJ Khathu? Well people can get in touch with me on my social networks.